I'm in France! 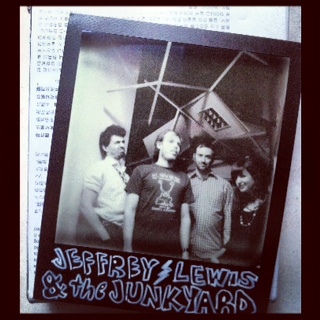 This month I'm on tour with Jeffrey Lewis & the Junkyard (playing keys & fiddle & singing in his band). Jeff is one of my favorite songwriters and he also draws really cool comics and art. Here's a cool Polaroid [above] from yesterday's festival in Lyons. 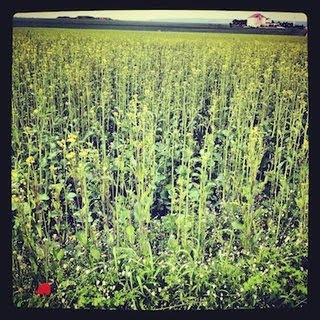 Yesterday I went for a jog around this field [above right] of mustard greens in Dijon. How perfect is that? (World's prettiest Comfort Inn can be seen in the background).